When i was exploring Windows Azure Accelerator for Web Roles. i come across the Umbraco Azure Accelerator which help to publish open source CMS system in Windows Azure Platform. Download Umbraco Azure Accelerator and Install it. System will create new folder on : C:\WindowsAzure\UmbracoAccelerator\ to that folder and click starthere.htm file and show the detail step by step guide to deploy Umbraco CMS system on Windows Azure. 27th July 2011 at AzureUG.SG (user group) meeting i cover & live demo variety of the third-party tools available in the Windows Azure ecosystem. Included are tools for both developers and IT professionals. We look at tools that will help manage storage and resources, migration, scaling, diagnostics and software components that will help you build cloud applications. Windows Azure Accelerator for Web Roles. This accelerator enables you to deploy websites to a Windows Azure role with multiple instances using Web Deploy. You can now easily and quickly build, test, and deploy sites on Windows Azure using Web Deploy while still utilizing the full scale and reliability of Windows Azure. During this session i live demo, how to publish multiple websites in one Web Role. AzureWatch dynamically adjusts the number of compute instances dedicated to your Azure application according to real time demand. User-defined rules specify when to scale up or down, so that your application will always have enough computing power to process the workload without unnecessary over-provisioning. Freed from worries about capacity and overuse in the cloud, you can concentrate on your core business work. Azure Storage Explorer is a useful GUI tool for inspecting and altering the data in your Windows Azure storage storage projects including the logs of your cloud-hosted applications. All 3 types of cloud storage can be viewed and edited: blobs, queues, and tables. TableXplorer is rich UI client for managing your Windows Azure table storage. Cloud Storage Studio is a Windows (WPF) based client for managing Windows Azure Storage, an important component of Microsoft's Azure (Microsoft's Cloud) platform and Hosted Applications. This one tool for all 3 types of cloud storage can be viewed and edited: blobs, queues, and tables. AzureXplorer is a comprehensive Visual Studio extension for managing your Windows Azure storage accounts and hosted services without ever leaving the development environment. CloudBerry Explorer makes managing files in Microsoft Azure Blob Storage EASY. By providing a user interface to Microsoft Azure Blob Storage accounts, and files, CloudBerry lets you manage your files on cloud just as you would on your own local computer. CloudBerry Online Backup provides a powerful Backup and Restore program designed to leverage Azure Blob Storage to make your disaster recovery plan simple, reliable, and affordable. Azure Diagnostics Manager is a Windows (WPF) based client for Windows Azure Diagnostics. ADM allows you to manage diagnostics data stored by your applications running in Azure. The GreyBox application is designed to alert a user if their Windows Azure compute services are currently running, or are even simply deployed. Great for Azure speakers and POCs you don't want left running. Elastic email makes email sending easier for both the developer and business manager of a cloud application. Several cloud application hosting platforms do not provide an email delivery service and may even set limits on your email sending. Elastic Email provides direct email sending through standard SMTP or a simple REST API. Windows Azure online price calculator help you select the right Windows Azure platform offer and estimate your monthly costs, we’ve just launched a new pricing calculator. The pricing calculator lets you pick compute, database, storage, bandwidth, CDN and Service Bus capacity based on your needs. Along with predicting your expected monthly costs, the pricing calculator then recommends the most cost effective offer for you to purchase Windows Azure platform services. Recently i was deploy MVC 3 application in to Windows Azure Platform, The MVC 3 assemblies in the project as MVC 3 is not part of Windows Azure Web Roles I need to include the the Deployable dependencies. With Visual Studio 2010 usually when I want to deploy dependency dlls, i had need to go to the properties of the .dll and set CopyLocal to true. This project is to demonstrates how extraordinarily simple it is to create powerful, scalable applications for the Windows Azure platform with .NET 4 new features . It shows off how to use the great new features in ASP.NET 4 and Windows Azure to build an online store, including shopping, checkout, and administration. Most of the code migrate from Tailspin Spyworks web application..
During this session you will learn about the major investments in claims-based identity in Windows Azure Platform. He will discuss the new identity architecture, learn about all the components and how to manage and operate them. In addition, He will go over the design decisions you will need to make as you plan the interop between Windows Azure and external systems/Web services. During this session sam will show as a demo how to convert traditional RBAC ASP.NET application into CBAC application. Ma Qi (Sam) is currently working in NCS as .Net Application Architect. Since graduated from Xi’an Jiao Tong university in China, Sam started his IT career as software developer in 1997. In 2000, Sam moved to Singapore to pursue career development. During the period, Sam worked in various technology companies with different roles such as Software Developer, System designer, IT Consultant, System Analyst, Application Architect. In the past 5 years, Sam had successfully executed 2 enterprise .Net projects. Besides career, Sam received his MSc (Information Studies) from Nanyang Technological University in 2007. Faizal is an Lead Consultant with Chief Architect Office, NCS (P) Ltd. Faizal spends his days serving as a consultant or architect helping clients succeed with the Microsoft development platform. He has over a decade of experience in Information Technology with a focus on enabling portals, Internet & Intranet application development. His area of specialization includes but is not limited to evaluate & develop migration strategies for Cloud Computing (Windows Azure) as well as for SharePoint Server technologies. Faizal spends most of his spare time reading technology blogs and exploring new development technologies. Part of community work Faizal is active speaker in SharePoint User group. Faizal and Wely (MVP) founded AzureUG.SG User groups in Singapore and they meet every month last Wednesday night at Microsoft Singapore to discuss, share knowledge and experiences on development and Windows Azure architecture. 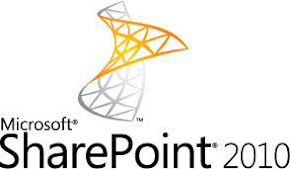 14th & 15th July 2011 we have completed 4th Intake of our Windows Azure boot camp training. (Only for NCS). around 21 NCS people attended our session and learn about Windows Azure, SQL Azure, AppFabrics. On 21st July i am presenting Explore and Implement SharePoint Security: Permissions, Identities, and Objects @ NCS SharePoint CoP group. This a NCS Internal user groups which meet every two months once to share experience and present various technical topics in SharePoint Server and Application development. During this session i will be discussing about Portal End to End to Security. When you deploy AspProviders (Azure Table Storage) on Windows Azure you may encounter following error. Parser Error Message: Could not load type 'Microsoft.Samples.ServiceHosting.AspProviders.TableStorageSessionStateProvider'. To overcome above issue, make sure that you have Added AspProviders project as a References to your web project.